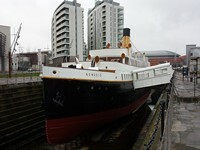 The SS Nomadic is known as Titanic's little sister. Built at the same time, by the same people, in the same Harland and Wolff shipyard as Titanic, Nomadic brought those boarding the great liner at Cherbourg to the ship. That was the start of an adventurous life, as she played a part in WW One and Two, carried many famous people to the great trans-Atlantic liners, became a floating restaurant in Paris and was saved from being scrapped by the people of Belfast. Now completely refurbished as a visitor attraction, you can walk in the footsteps of history, learn her story, and become part of the new chapter of her dramatic existence. You are on Opening Times (Summer). Skip to the next section. You are on Opening Times (Winter). Skip to the next section. The nearest mainline station is Titanic Quarter. The drop off point is located next to the ship. There are several car parks in the Titanic Quarter including - Titanic Belfast, Belfast Metropolitan College and several public car parks along Queens Drive. 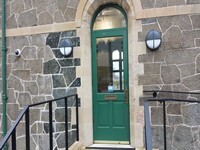 You are on Outside Access (Ticket Office and Shop Entrance). Skip to the next section. You are on Level Change (Ticket Office and Shop Entrance). Skip to the next section. 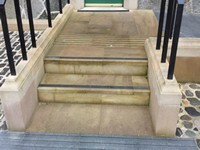 The steps are located at the etrance. You are on Reception (Ticket Office and Shop). Skip to the next section. 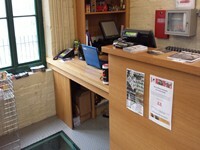 The reception desk is 1m (3ft 11in) from the Ticket Office and Shop Entrance. 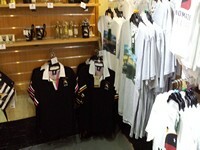 You are on Inside Access (Ticket Office and Shop). Skip to the next section. You are on Level Change (Shop). Skip to the next section. The ramp or slope is located leading to the shop. 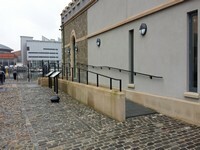 You are on Outside Access (SS Nomadic Entrance). Skip to the next section. This information is for the entrance located at the side of the Vessel. 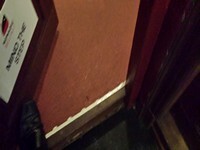 The door opening is 90cm (2ft) wide. 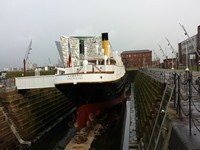 You are on Level Change (SS Nomadic Entrance). Skip to the next section. You are on SS Nomadic. Skip to the next section. 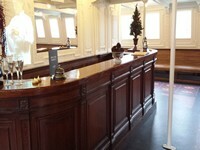 The Tour of the SS Nomadic covers all levels of the ship. 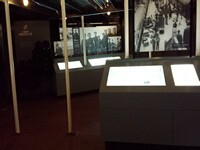 There are audio guides available to use and there are lower touch screens available. After the tour visitors are welcome to go around the ship on their own. 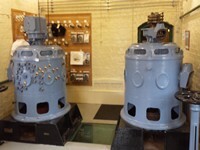 There is a fixed hearing loop located in the engine room. 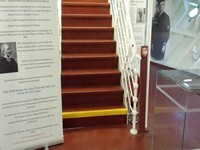 You are on Level Change (SS Nomadic). Skip to the next section. 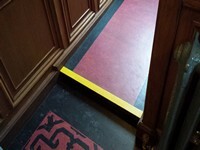 Due to the flooring on the decks being on a camber there is an easy slope on the floor. There are some easy and moderate ramps located at points around the tours. 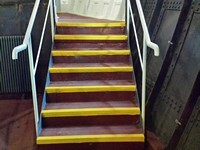 There are some areas of the ship that can only be accessed by steps. If the area is area is not accessible the tour guide can provide information about the area. You are on Other Floors (SS Nomadic). Skip to the next section. 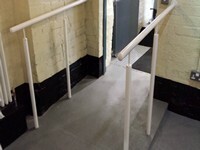 The floors which are accessible by stairs are all decks. 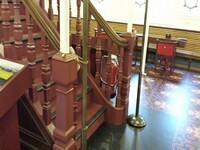 You are on Lift (SS Nomadic). Skip to the next section. The lift is located at the centre of the ship. 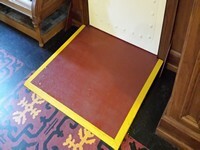 The floors which are accessible by this lift are all decks. The clear door width is 85cm (2ft 9in). The dimensions of the lift are 100cm x 140cm (3ft 3in x 4ft 7in). You are on Accessible Toilet (Ticket Office and Shop). Skip to the next section. 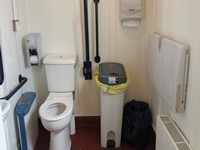 This accessible toilet is approximately 5m (5yd 1ft) from the ticket office and shop entrance. 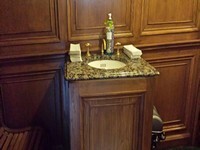 This accessible toilet is located at the rear of the gift shop. 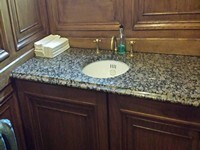 The dimensions of the accessible toilet are 150cm x 225cm (4ft 11in x 7ft 5in). The baby change facilities are located in the accessible toilet. You are on Accessible Toilet (SS Nomadic). Skip to the next section. 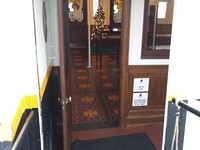 This accessible toilet is approximately 15m (16yd 1ft) from the SS Nomadic Entrance. 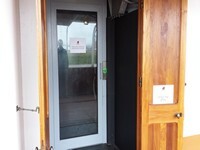 This accessible toilet is located on the upper deck at the stern of the ship. 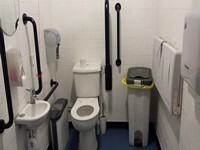 The dimensions of the accessible toilet are 175cm x 220cm (5ft 9in x 7ft 3in). You are on Standard Toilet(s) (SS Nomadic). Skip to the next section. The female and male toilet facilities that were surveyed are located on the upper deck at the bow and stern of the ship. 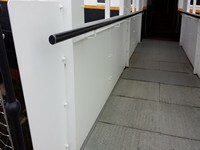 There are clearly marked shallow steps at the entrance to the standard toilets at the bow and stern of the ship. A member of staff trained in BSL skills is normally on duty. Staff are trained to BSL level 1.